Our specialist drain CCTV comes into play when we need to diagnose problems with underground drainage systems without digging holes in your garden, driveway or commercial premises. 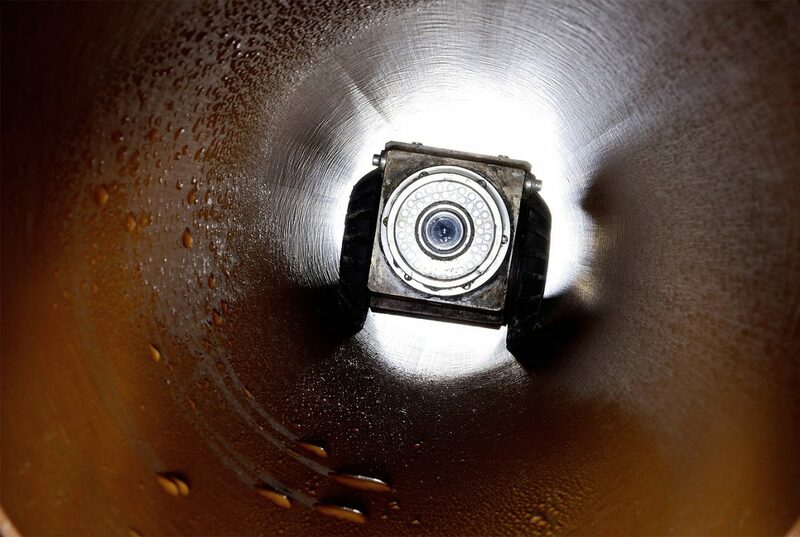 Our drain cameras are specially designed to work their way through your drain network and send back video footage to our operators, along with location data so we know where the problem lies. If the drain inspection uncovers a problem then your insurance should cover the cost of the repair along with the survey fee. We provide a clearly written report for you to pass to the insurance company to assist in your claim. Simply complete the ‘Quick Quote’ form to the right or call us today on 07716 573 554 for more information or to arrange a CCTV Drain Survey. At D&N Drainage we offer a comprehensive range of domestic and commercial pump installation, service and repair solutions. Whatever your drainage pump requirements, we are happy to help from sewage pump to sump pump solutions, we have it covered. Simply complete the ‘Quick Quote’ form to the right or call us today on 07716 573 554 for more information or to get in touch for your pump requirements. Broken drainage systems can be a major problem for both homes and businesses. Symptoms are slow to no drainage, bad smells and leaks all of which can cause major problems if left unresolved for long periods of time. 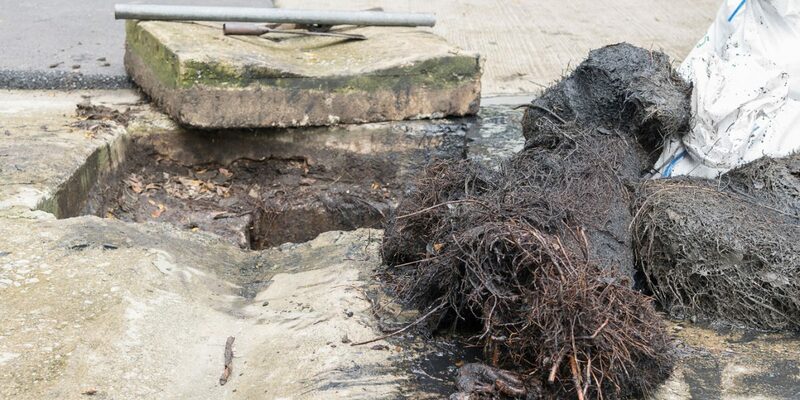 Using a range of chemical based solutions means that broken drains can sometimes be repaired without the need to excavate or replace existing pipework. This can be done using joint of crack filling or using chemical liners which can be hardened with a chemical reaction. Simply complete the ‘Quick Quote’ form to the right or call us today on 07716 573 554 for more information or to arrange a quote for our drain repair services. Drain rods are a great weapon in our arsenal against blockages however sometimes they just can’t reach the problem. This is where high pressure drain jetting takes over, negotiating bends in pipework and can get up close to the problem before blasting it away. High pressure drain jetting can be used on all types of drains and is ideal for clearing blockages caused by grease, fat or scale. Our drain jets are so powerful they can even remove tree roots or other items lodged within the drainage system. Our state-of-the-art drain jetting system fires out approximately 100 gallons of water every minute and has a pressure at around 3000 psi – that’s twice as powerful as as standard pressure washer. This is a much more cost effective solution before digging holes in the ground and means we can resolve 90% of drain blockages quickly, with minimum mess and disruption to your home or business. Simply complete the ‘Quick Quote’ form to the right or call us today on 07716 573 554 for more information or to arrange a quote for our drain jetting services. When your drainage system has a blockage, you may have no idea where the problem lies, all you know is that the drain is blocked or overflowing or some other visual indicator that something is wrong. This is quite common, as professionals, we do not expect you to understand the problem. D&N Drainage will identify the problem and offer an affordable solution to resolve the issue. No matter what your problem is, we have the tools and expertise to resolve any drainage related issue swiftly and with minimum disruption to your home or business. Simply complete the ‘Quick Quote’ form to the right or call us today on 07716 573 554 for more information or to arrange an inspection of your blocked drains.